Doug Scribner is a trial lawyer working principally in complex commercial litigation. He is the co-chair of Alston & Bird’s Manufacturing and Industrials Team where he focuses on the representation of manufacturers. Doug often represents plaintiffs in high-stakes commercial cases. In 2014, he was lead counsel for the corporate plaintiff in a case where the jury awarded our client more than $96 million. 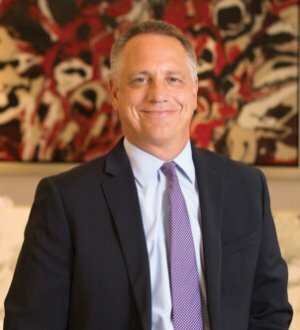 It was the largest Florida commercial jury verdict in 2014 and the case was featured in The National Law Journal’s “Top 100 Verdicts of 2014.” In 2011, he was lead counsel for another corporate plaintiff in a case where the arbitration panel awarded our client more than $100 million. As lead trial counsel, Doug has extensive experience representing Fortune 500 companies at trial and in arbitration. He has been lead trial counsel in 25 different states. He was recently inducted into the Florida Verdicts Hall of Fame and has been selected by his peers for inclusion in The Best Lawyers in America© and Super Lawyers magazine every year since its inception. Doug is the former co-chair of Alston & Bird’s Litigation and Trial Practice Group.